Use FME’s data integration platform to convert any data to meet IMDF requirements for use in applications like Apple Maps. 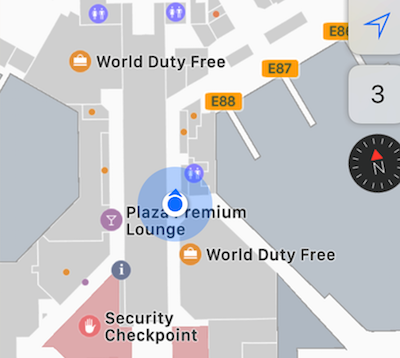 Airports, campuses, and other venues are enabling indoor navigation via mobile devices. To make this possible in iOS apps like Apple Maps, floor plans must be converted to IMDF. 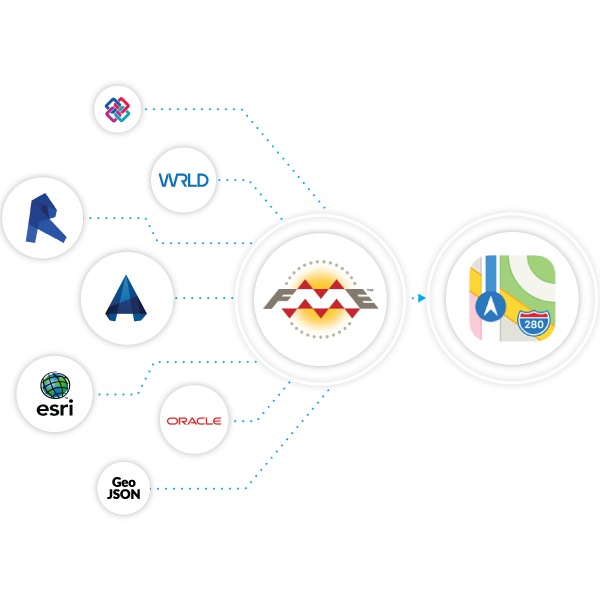 Use FME to integrate floor plans and ancillary data from formats like ArcGIS Indoors, HERE, IBM TRIRIGA, and more, and validate against IMDF specifications to ensure data meets standards. Venues are constantly changing, and indoor maps need to stay up to date. Run FME's repeatable workflows whenever source data changes, keeping your indoor maps current in the mobile application. 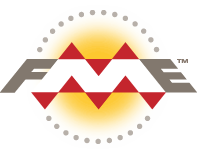 Use FME Server to run workflows on a schedule or in response to a trigger, and configure alerts to notify you when your IMDF fails validation. 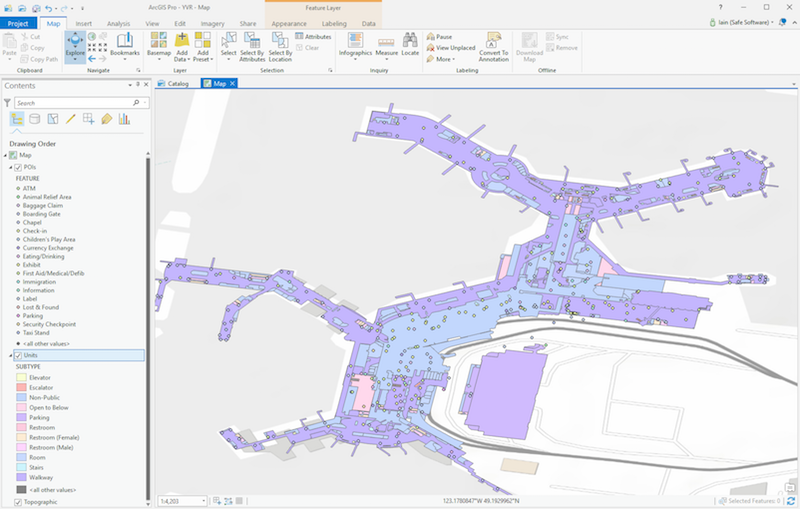 Convert IMDF to another indoor mapping format for further editing, like ArcGIS Indoors (see also: ArcGIS Indoors to IMDF tutorial), or to another system for visualization and analysis, like KML. IMDF 101, plus example FME workflows. Webinar: Learn how to work with IMDF. IMDF is an indoor mapping data standard supported by applications like Apple Maps. Use of this format helps businesses enable wayfinding inside their venues. FME lets you integrate many applications and file formats. Here are some of the ways our users convert Indoor Mapping Data Format (IMDF). The table below outlines how Indoor Mapping Data Format (IMDF) is supported by our different FME products, and on which platform(s) the reader and/or writer runs.